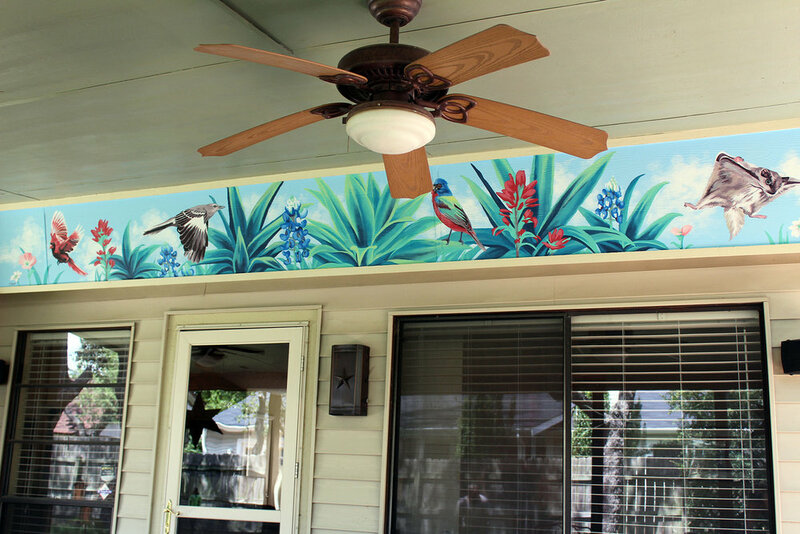 Mural done in Baton Rouge Louisiana. The color pallet was inspired the different brightly colored buildings in the apartment complex. 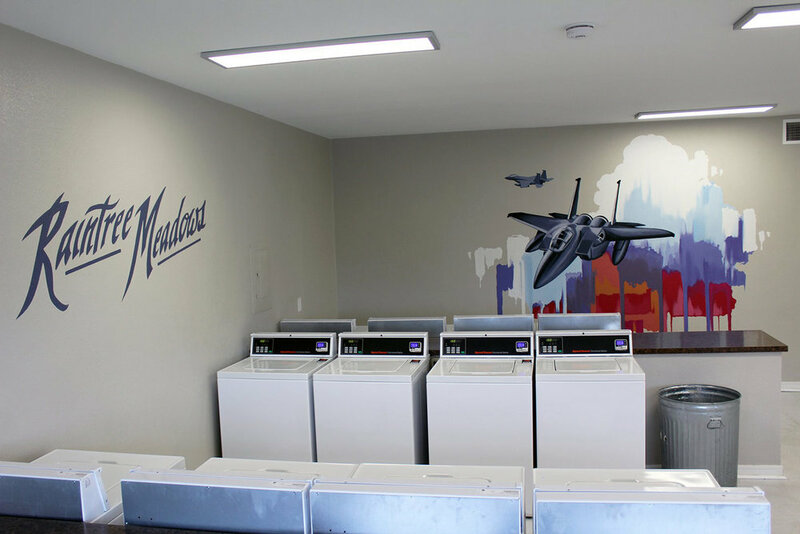 Mural done in the laundry room of the Raintree Meadows apartment complex in Oklahoma City. 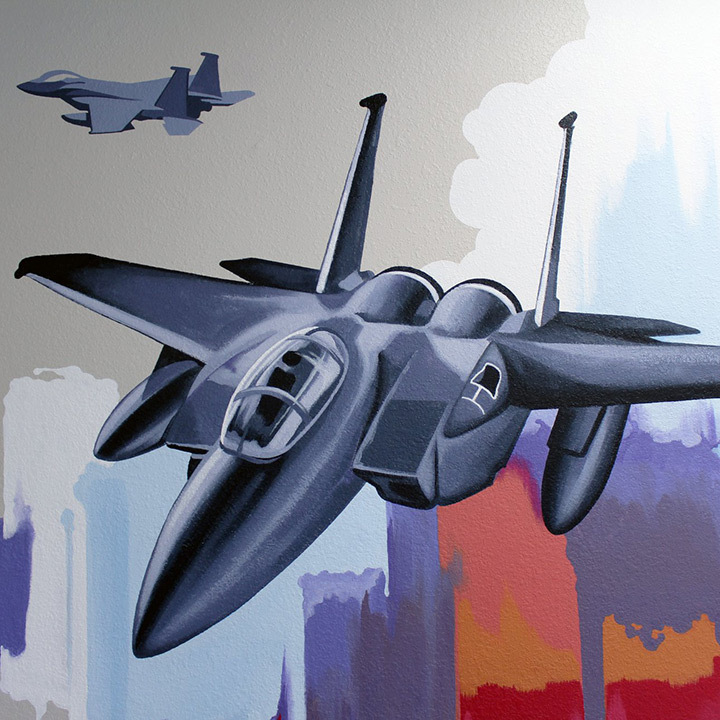 The F-15 featured in the mural was inspired by the fact that the complex is adjacent to an Air-Force base. 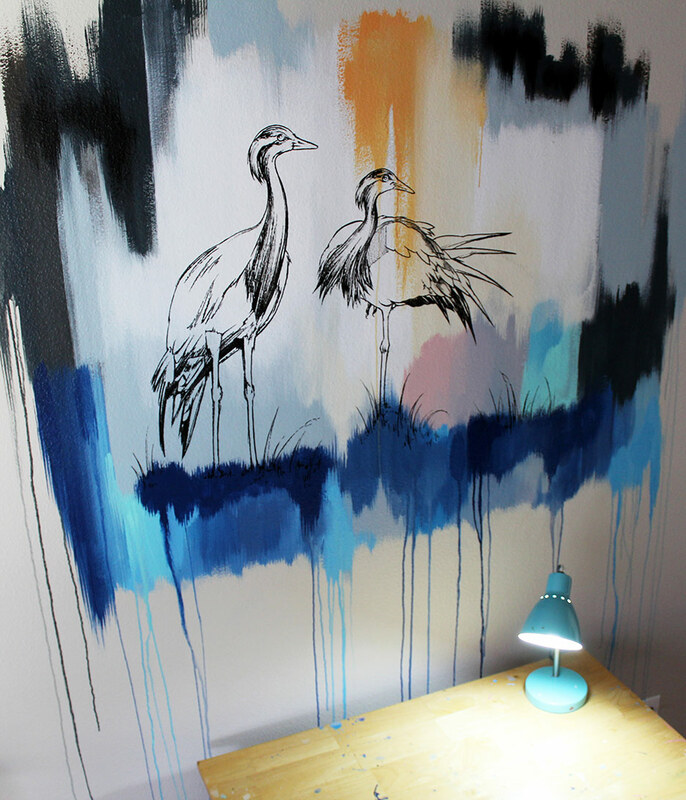 Erin painted this mural in the first private studio space she was fortunate enough to have. The mural was meant to christen the space as a creative and thoughtful place where she could feel comfortable and be inspired. This mural was painted on the side of the Lazarus Brewing Company, which was previously was called The Cool Store. The Cool Store had another painting of Bob Marley that was beloved by the community and upon buying the property, Lazarus wanted to pay tribute to what the building used to be. 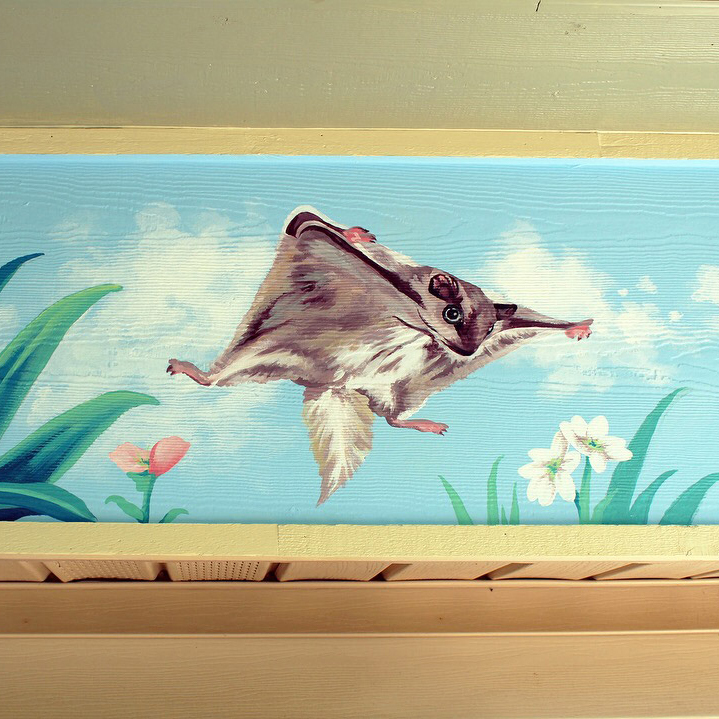 This mural was painted in the backyard of a family Friend named Frank Burger. 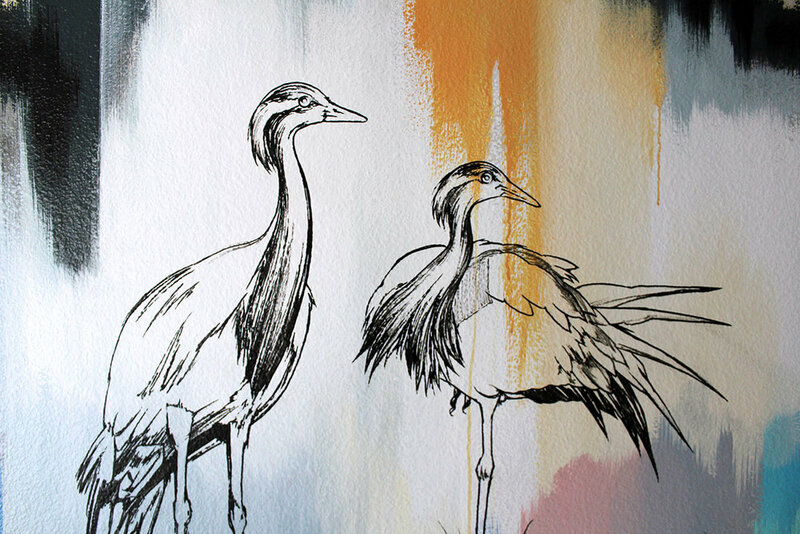 The design was meant to bring color into the space and feature some beautiful native and non-native birds. 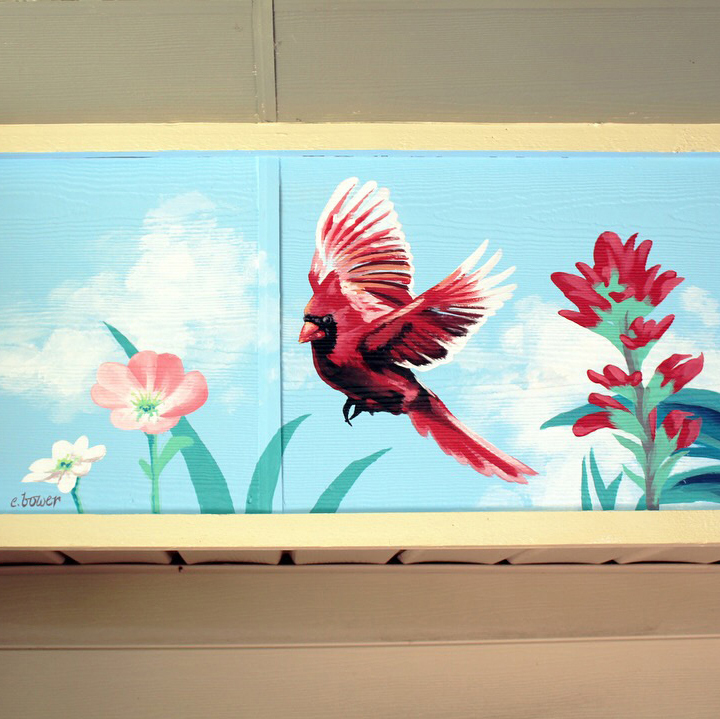 Mural painted in the gym of the Indian Creek apartments in Georgetown. 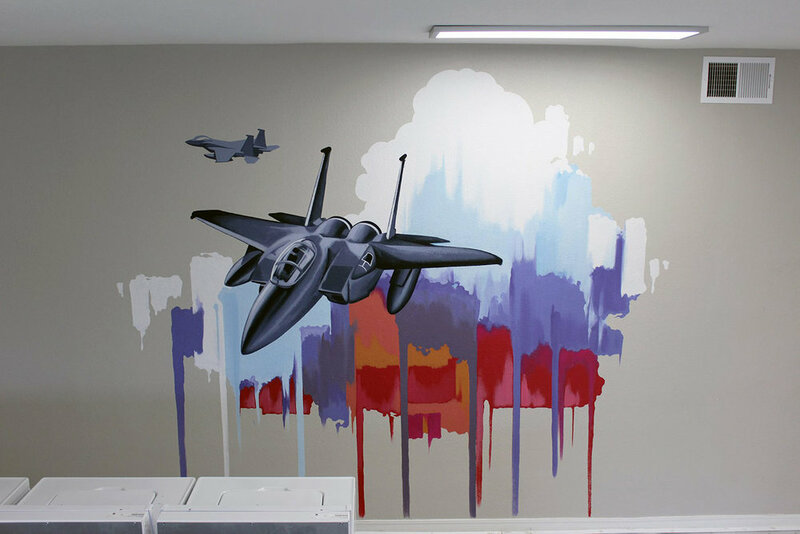 The mural brings color and excitement to the space. The triangular shape of the wall was a major inspiration for this geometric mountain goat mural. The mountain goat is also a difficulty for the climbing courses offered by the Crux Climbing gym. 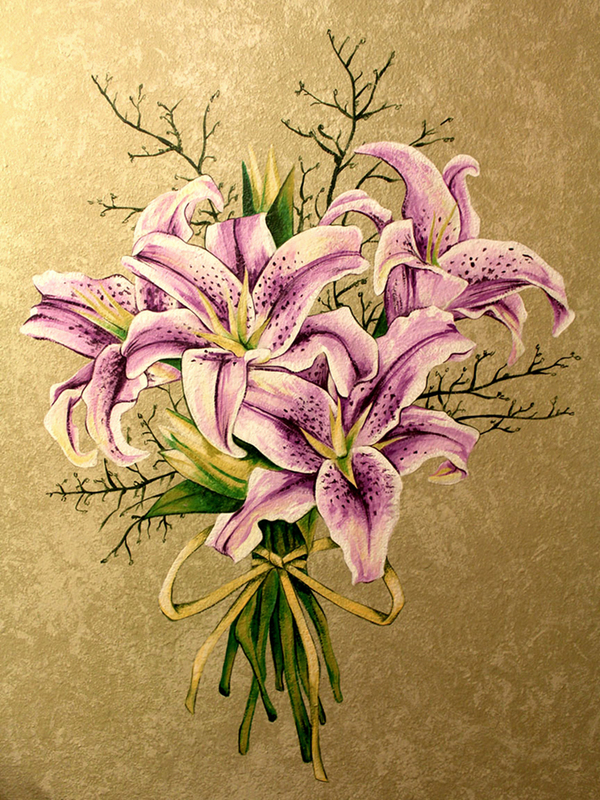 This mural was painted in the bathroom of Erin’s grandmother’s house. This mural was painted the evening before the start of Austin’s East Austin Studio Tour. 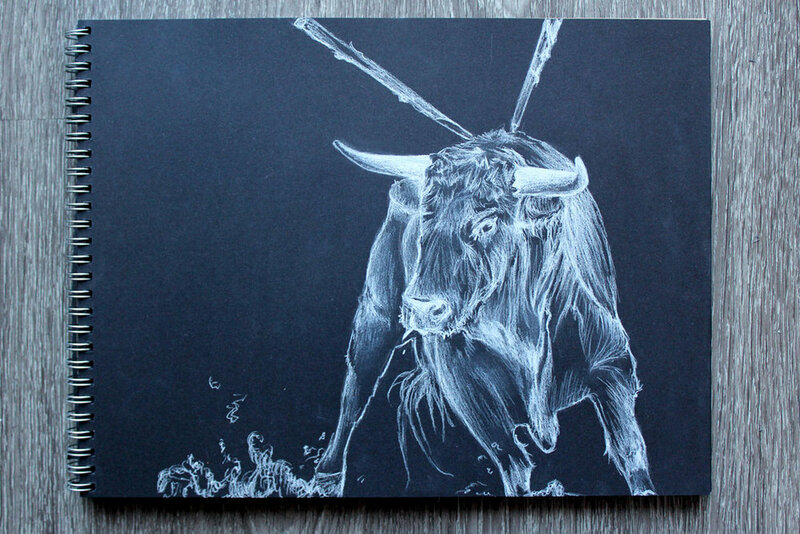 The event was held in a converted Mexican restaurant and the bull mural was the finishing touch for that room. 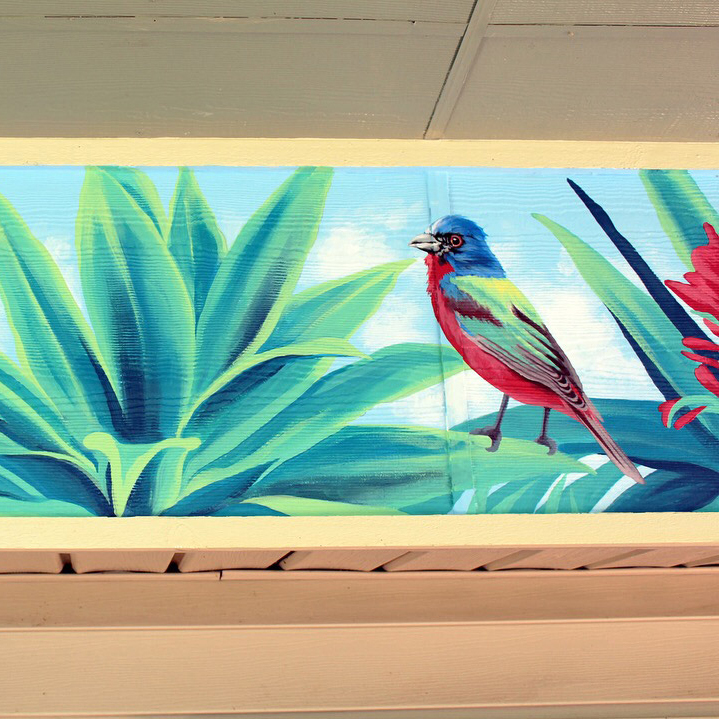 This mural was painted on the garage wall of an avid fisher. The Austin Film Society commissioned this combination mural painting based off the iconic movie Giant.